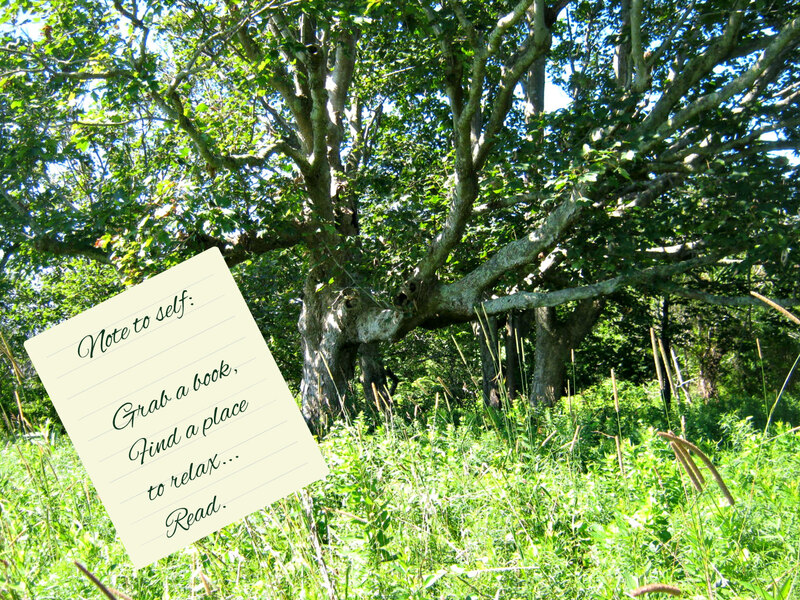 I always noticed this tree on Block Island, RI, as we walked the path to Clayhead Beach. Its wide branches seemed to invite me to climb, lay upon the branches, and rest. I easily imagined myself in repose there with a book in hand, a blanket draped over a bough, a pillow beneath my head. This daydream still lives on in my heart whenever I think of the path and the tree. To me, it seems to be a bit of heaven on earth. I wish for you the finest rest on this Sabbath Day. This tree picture is one showing serenity. It is like you said, one can imagine lying down on a bough and dreaming dreams. It would protect from the elements too. I love the thought. Peace be upon you too, my friend. And with you also Susie. I was a Great tree climber in my early days mostly Apple Trees. I remember climbing apple trees at my grandparent’s home in McDonald. Beautiful spot! Than you for sharing! What a lovely old tree – I always stroke their bark when I admire them. I like the bark too…especially the greenish lichen patches. Our live oak has blue lichen patches. A few years ago an insect friend (bark lice) covered the tree in its web, ate the lichen which can be harmful to the tree, wound up its web and moved onto the next tree. It happened at Halloween to add to the spooky feel! Sounds like a BOO-tifully perfect way to take care of a problem.